My LMUF haul, finally, about time. Jeez, it has been gathering dust in my drafts folder since June. I had to clean off all the dust and remove the cobwebs. Well, here it is, my haul. Yes, I bought nothing at the fair. Believe it or not, lol. Remember I said in my previous LMUF post that I went with no money....on purpose. 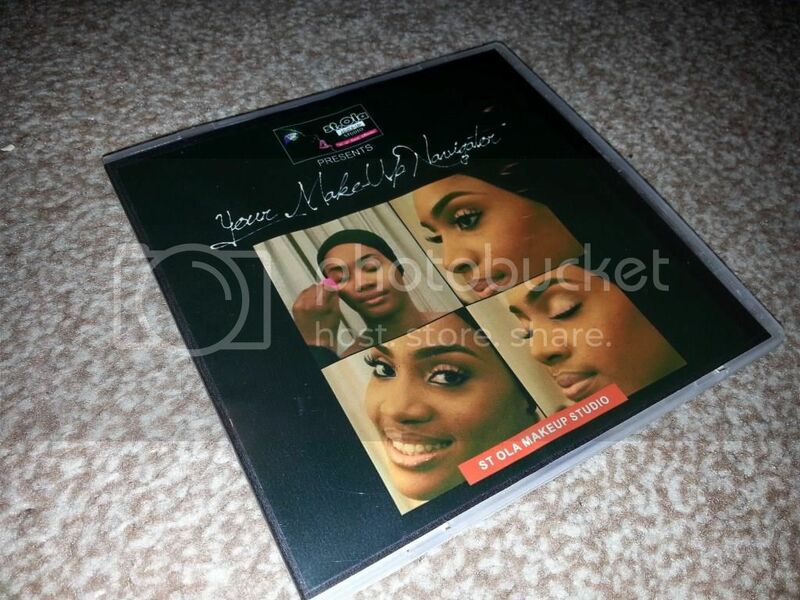 'Your Makeup Navigator' by Jide of StOla; is the first makeup DVD to be produced by a Nigerian makeup artist (yes, Jide has made history). It is very simple to understand, easy to follow the steps and gives the most wonderful of results. Jide has focused on basic looks and not gone into anything too complex which I completely applaud. However, and I have told Jide this, I believe the intro soundtrack should have been more upbeat and exciting. Makeup is exciting na. Because of this, I must confess I did get a bit drowsy while watching the DVD. This bella bamba 3D highlighting powder is a soft shimmer blush from Benefit cosmetics. All it pretty much does for me is highlight my cheeks leaving no colour. But I guess I am not going to complain. I got it free you know. Being a mascara junkie and completely obsessed with mascara (I have no idea how to fix lashes on myself), I hoard them a lot. 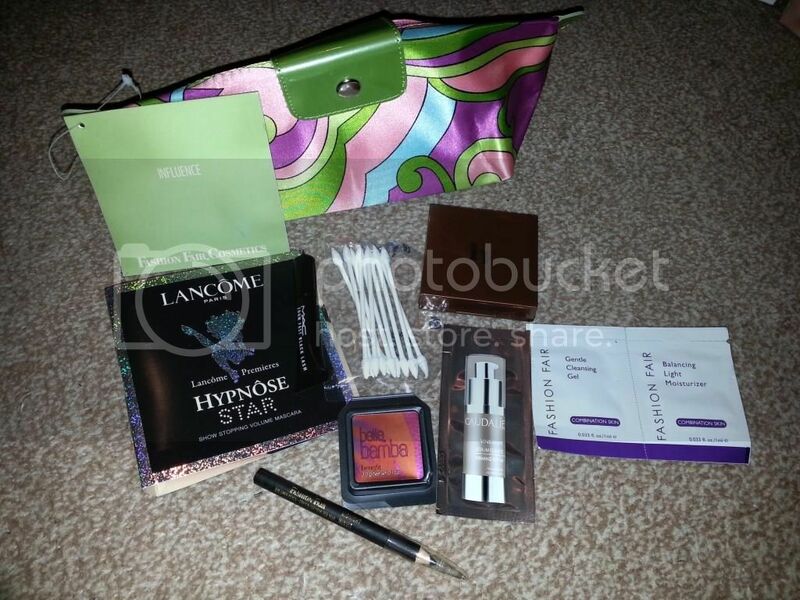 I got sample sizes of Lancome Hypnose and MAC Zoom lash and all I can say is "I am loyal for life". This is my first Wet n Wild lipstick and even though I have a couple of people hanging on me for a full sized red lipstick (the ones I currently have are half size) I am not giving this one out *tongue out*. I love the vibrant sheen of this lipstick, it is super moisturising. I was a little skeptical about the application technique due to the rounded edges it has but it turned out perfect and I didn't even use a brush at all. See how it seems to have an ombre-ish look where the light touches it? Hmmm, no I am still not a fan of loose eyeshadows and pigments but I am willing to give this a try. I tried this once and better understood why pastels don't really work well for our skin. I will still keep it though, you never know. Besides, I might decide to try out a pastel look one day or perhaps for a shoot...or something. 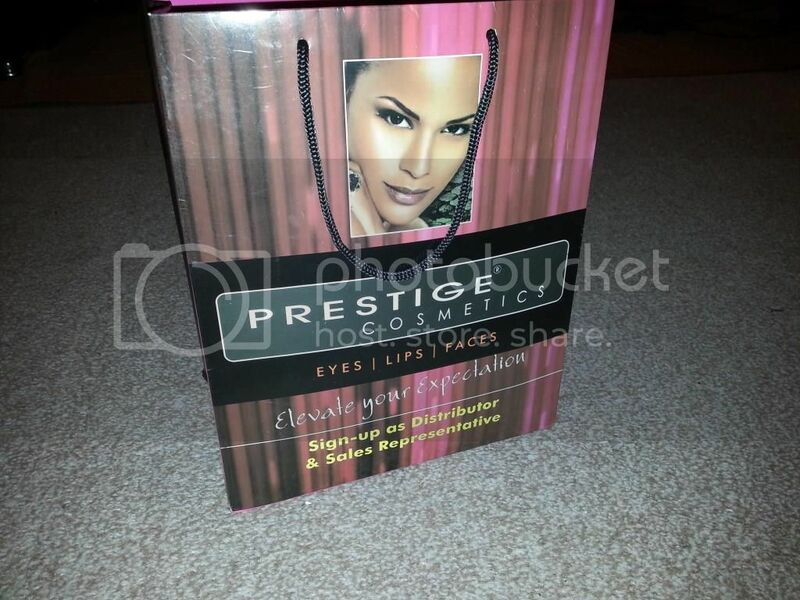 I got a Studio Makeup Bronzing powder and a Prestige lipstick in my goodie bag. This bronzer is golden. When I say golden, I mean that it makes the skin glow beautifully giving off a golden sheen when light hits the spot it is applied on. 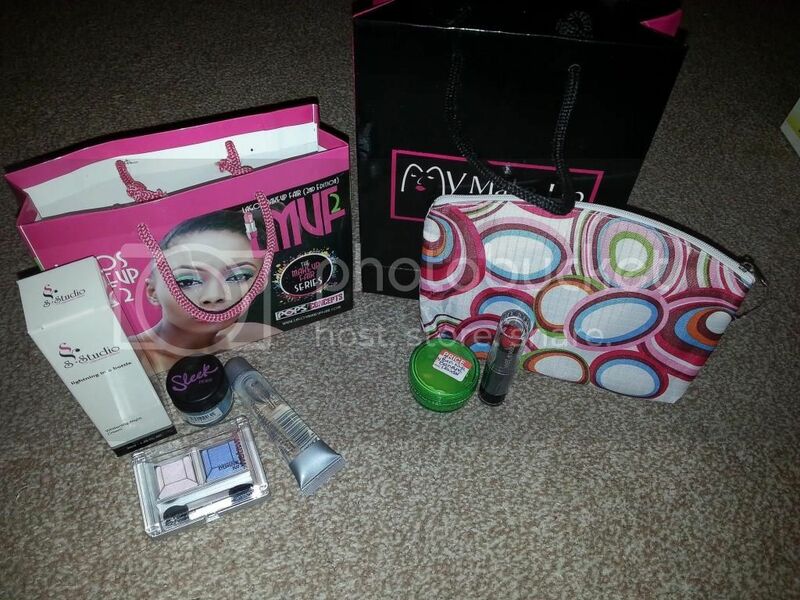 It is super easy to apply - just use a fluffy brush lightly and apply to the desired area. I am yet to find out how much is too much when using this product as it applies well regardless of the amount used. I am more into true red lipsticks as all my FOTDs, reviews and favourites suggest and so I am still a bit so so about this prestige lipstick. It is more of an orangey red especially when the light hits it hence my uncertainty about its life span in my personal stash. it is very creamy, which leads me to believe that it won't be long lasting on the lips but hey, I just might be surprised. Kayge cosmetics are a new line of lip products ie. 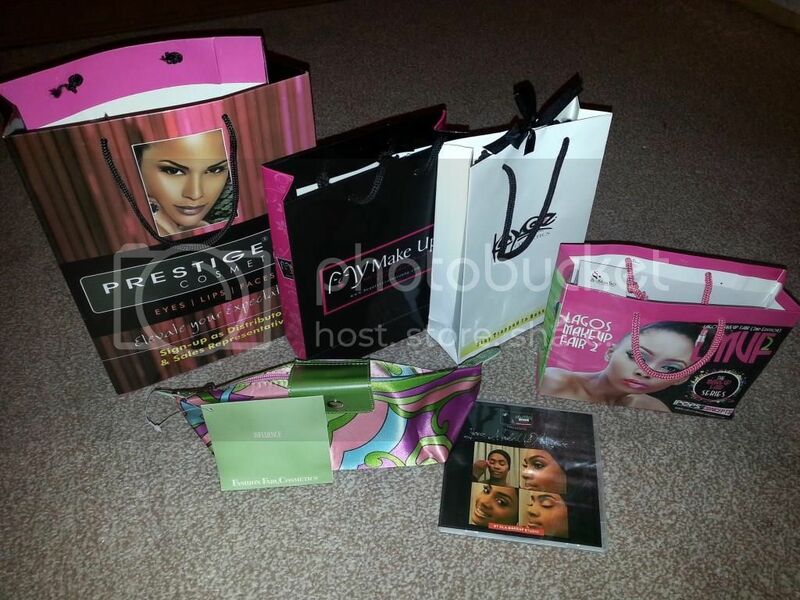 lip liners, lipsticks and lipglosses. I got 2 lipglosses. So this is my LMUF II haul. I have not really gotten a chance to use most of them very well so might be doing individual reviews as I go through them. Thank you so much to Taries, Omolola of LMUF, Kay and of course my wonderful friend Funke.